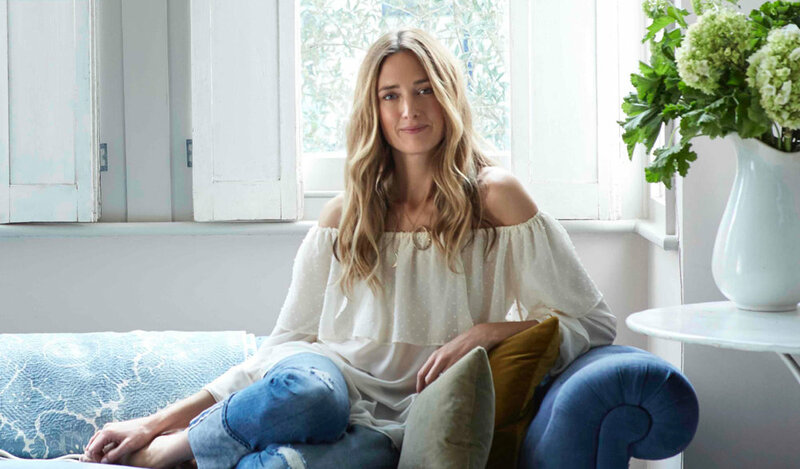 When A-list make-up artist Arabella Preston started telling friends and clients that she'd come up with THE most brilliant facial oil and wanted to launch it into the beauty universe, they were a tad doubtful. 'Why on earth would the world want another facial oil...?' But launch it she did – the original 100% facial oil becoming a 'cult' must-have, now with many other luxury Votary skincare treats, which have also gone on to become hugely successful – and have become a hit with Beauty Bible testers, who voted Votary Cleansing Oil the best in category in our Beauty Bible Awards. 'This too shall pass is my mantra in times of crisis or difficulty. The kind of experience that only come with age makes you more resilient to life's vagaries, and so the older I get the easier it is to take my own advice. I find trusting myself to look forwards allows me to keep positive and pragmatic in the heat of the moment. Be kind to everyone you meet. My husband has taught our children that as a family and individuals we never walk past a homeless person in the street without stopping to give what we can. I love that they are going to grow up with that awareness and kindness in-built - I think you can apply the same principles to so many aspects of work and life. Embrace change. I have changed careers three times now and each experience has fed into the other and allowed me to grow and develop. There is always going to be a reason not to do something; the wrong time in life, too much risk, too many people telling you 'no'. Go for it! Even if it doesn't turn out how you hoped, the experience you have along the way and the people you meet will make it all worthwhile. Know what suits you. Having said all that, I'm increasingly editing my wardrobe, make-up and skincare down to a capsule situation. I recently moved to the country and have online shopping sussed. I know what suits me and what size I need. It cuts a lot of fuss out of my life. It's the same with make-up I know the products and brands I have to have in my bag. Votary is my capsule skincare wardrobe...I am the ultimate lazy girl when it comes to my skincare and so I created a really simple routine for myself that kept my skin as happy and healthy as possible. I think a lot of women can relate to that kind of low-fuss/great results philosophy. I can't imagine life without yoga. I swim in summer and do yoga year round. Nothing else clears my head and makes my body feel fantastic like my weekly yoga class. I have the most wonderful teacher who manages to make each class completely different, challenging and exciting so you always leave with a small sense of achievement. It's one hour each week that is guaranteed to be totally positive. Also, every yoga teacher I have ever met looks completely amazing, whatever their age. Girlfriends to laugh, cry, vent and generally be your truest self I can't beat my WhatsApp group with my oldest school friends. Everyone needs that inner circle sounding board, whatever form it takes. I also have a gardening club with my local friends. It all sounds very Mapp and Lucia but that couldn't be further from reality. So far this year we have hacked down a tree, destroyed a brick wall and planted a hedge. All while laughing hard and putting the world to rights. It's the best therapy I know.